Hey Y'all! It's April from Grade School Giggles. 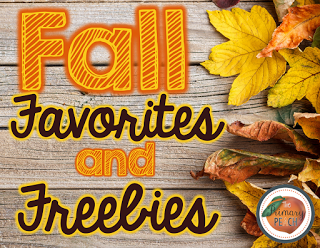 Have you checked out all the fall favorites and freebies being shared this month? I have and there are some awesome things being shared. Today it's my turn to share. I have to say I'm thrilled to be sharing some of my favorite things about fall and some of my favorite fall freebies today. Plus, you'll have the chance to win your choice of a $50 gift card to either Amazon or Teachers Pay Teachers! No worries though if you don't win. There will be another chance next week. So, be sure to come back then. Around here the leaves have begun changing hues from the bright greens of summer to the deep reds and oranges of autumn. It's a lovely time to rock on the front porch, enjoy the fresh air, and sip on a favorite warm drink. It's also the time of year when pumpkin patches are open and the kids are bubbling over with anticipation of Halloween festivities. Whenever possible, I try to bring some seasonal flare into our learning. It keeps things fresh and really builds on the kids’ excitement. Back when my oldest daughter was a kindergartener she was struggling a bit with one to one correspondence. She was a quick counter, but it took a lot of practice to get her to slow down enough to be accurate when she counted objects. So, I made some activities to practice with her. Because variety is the spice of life I made two different versions. 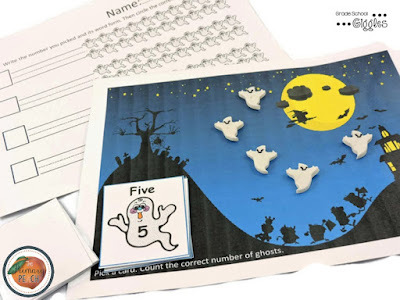 I made a free ghost counting activity, which is great if you’re able to do Halloween stuff. 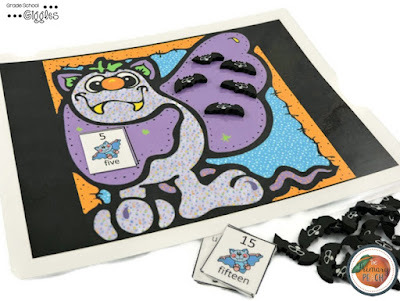 If not, I also made a free bat counting activity. Either way, they are great for practicing counting and number words for 1 to 20. I hope you enjoy these freebies, but don’t stop here. Be sure to enter the giveaway below. I visited my son's school in session. I popped at Phoenix preschool unexpectedly in the middle of the day. Every parent should do this. They had some structured learning but also a lot of playing which I think is the best way for children to learn.